The Beautyrest Black features state-of-the-art Recharge® technology designed for an optimal sleeping experience. Unlike many other mattresses on the market today, the Beautyrest Black combines a number of advanced features to ensure a comfortable, supportive night's sleep. The mattress provides unparalleled support of the back and spine with a series of pocketed coils, topped by plush fabrics and Dynamic Response memory foam that conforms to your body's shape and pressure points. 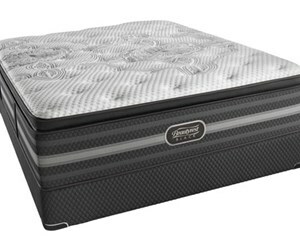 Beautyrest® Advanced Pocket Coil Technology - Delivers exceptional conforming back support and pressure relief. SurfaceCool™ Plus Fiber - The vertically oriented fibers on the sleep surface help to dissipate body heat. Micro Diamond™ Memory Foam - Select models contain this foam which helps move heat away from the body for cool, comfortable sleep. Comfort Response™ Latex - Body conformity and pressure relief from contouring layer of ventilated latex (select models). BlackICE™ Memory Foam - The breathable gel technology applied to Micro Diamond™ Memory Foam promote an ideal sleep climate (select models). The Calista Extra Firm model has a 12.5" profile height, and contains GelTouch® and Energy Foam layers that provide a firm sleep experience. 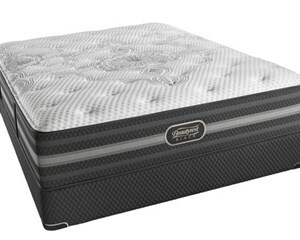 With a profile height of 13.5" the Desiree™ Luxury Firm model has a 2 1/4" comfort foam layer that provides soft, yet supportive sleep. 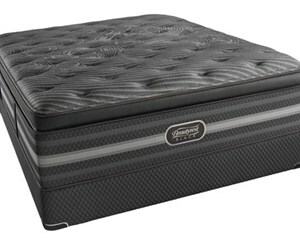 The Katarina™ Luxury Firm Pillowtop has a 15" profile height, with a generous 2" layer of AirCool® Gel Memory Foam for additional pressure relief. The generous comfort foam layer of the Katarina™ Plush Pillow Top mattress offers the perfect complement of plushness to the other supportive foam layers. With a 14" profile height, the Mariela™ Extra Firm mattress has layers of Energy Foam, BlackICE™ Memory Foam and Comfort Response™ Latex for pressure relieving comfort. 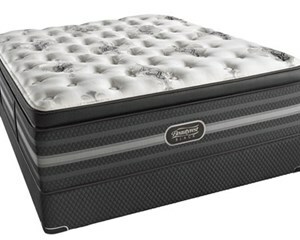 The 18" Sonya™ Luxury Firm Pillow Top mattress has the same foam layers at the Natashia™ Luxury Firm Pillow Top, with an added layer of 1000 Micro Pocketed Coils® for enhanced pressure relief. 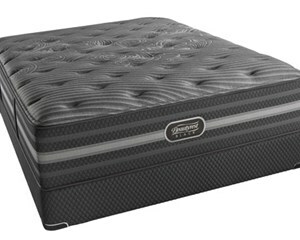 The 18.5" Tatiana™ Ultra Plush Pillow Top provides the ultimate sleep experience. 1000 Micro Pocketed Coils® are combined with the generous foam layers found in the Natasha™ Plush Pillow Top. At 15", the Mariela™ Luxury Firm model has a little more height than the Extra Firm model, due to extra comfort foam and the Energy Foam layer replaced with a layer of Dynamic Response™ Memory Foam. The 15" tall Mariela™ Plush mattress contains layers of Comfort Foam, AirCool® Gel Memory Foam, Comfort Response™ Latex and BlackICE™ Memory Foam for conforming and supportive sleep. 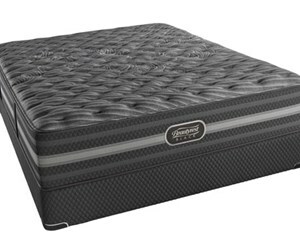 The 16" tall Natasha™ Luxury Firm Pillow Top mattress offers generous comfort foam and Dynamic Response™ Memory Foam layers, Comfort Response™ Latex and BlackICE™ Memory Foam. The Natashia™ Plush Pillow Top mattress is also 16" tall like the Natasha™ Luxury Firm, with a layer of AirCool® Gel Memory Foam in place of the Dynamic Response™ Memory Foam layer.